Who's excited for the Alice in Wonderland movie Through The Looking Glass? I am! I am! Alice in Wonderland is one of my very first bedtime stories. When my aunt bought me the Disney version of VHS, I watched it everyday because I never thought the story my dad read to me from the book would be so graphically interesting to watch on TV as well! In secondary school, I was introduced to the original version of literature from Caroll Lewis, I begin to learn all the philosophical message behind the story of Alice. My interest got deeper that lead me to purchase a documentary book on Alice in Wonderland which talks about the dark secrets of Oxford (particularly Christ Church College). To cut the story short, I have always loved everything that related to Alice in Wonderland. Now that I've grown up (and old), I look into other ways to express my interest. One of it is via makeups. 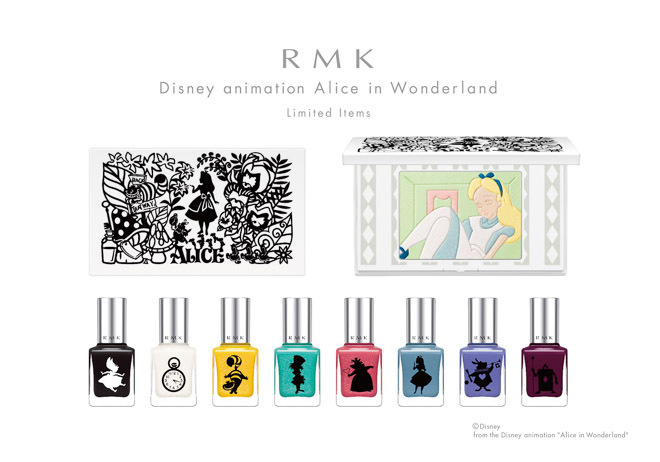 If you share the same excitement over Alice in Wonderland, here's an extensive collection of Alice in Wonderland themed makeups which you can purchase. I'm sure they will make your dresser table look really pretty. I put my booking on the Alice in Wonderland Through the Looking Glass makeup set from UD. Although not available for public purchase at the moment, the product has already arrived in Malaysia. As informed by the sales person, there is some issue with the lipstick and pending approval from the ministry of health. 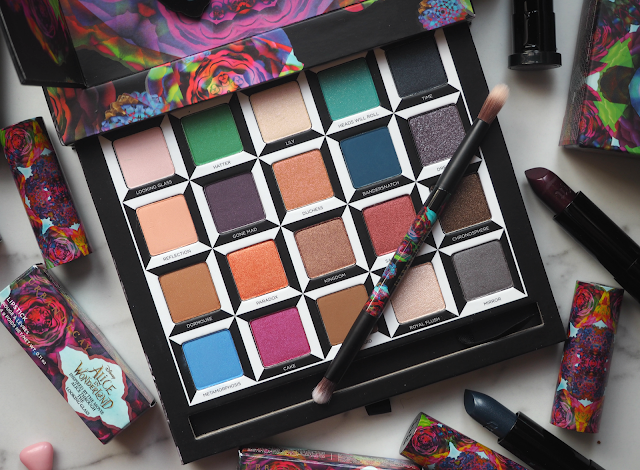 Chances are we might not get the lipstick, but UD will be replacing it with other items of equivalent value. Photo from London Beauty Queen. Visit the blog for swatches lipsticks (I wish she did swatches for the eyeshadow too). I had the previous Alice in Wonderland makeup set from UD and the colour payoff is fantastic. The older version has lower quality packaging. The entire box was made of cardboard and there was a mishap on the mirror. I didn't know how it happen, but due to safety reason I had to throw away the box. The shattered mirror contaminated the entire makeup box. It hurts a lot but it has to go. The new packaging looks more sturdy, so I'm looking forward to owning it. 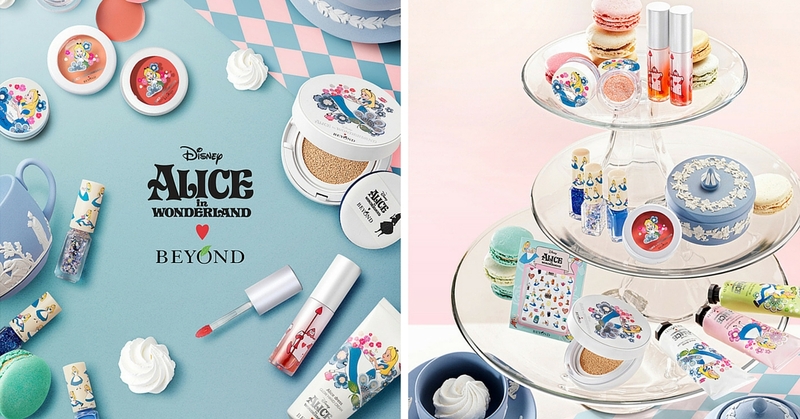 Korean beauty brand Beyond has launched an extensive collection of Alice in Wonderland products which include BB Cushion, Lip & Cheek Stain, Cream Shadow, Lip Oil Tint, Nail Polish & Hand Cream. So far, the Beyond Alice collection has the most product options and variant. Beyond label is not available in Malaysia, however, I do hope Althea will ship these products directly from Korea. I am putting my eyes on the Lip & Cheek Stain and Nail Polish. The colours are softer and suit Asian skin tone. 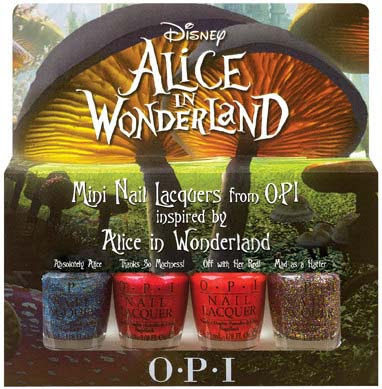 Some nail products that easier to get in Malaysia would be the O.P.I. 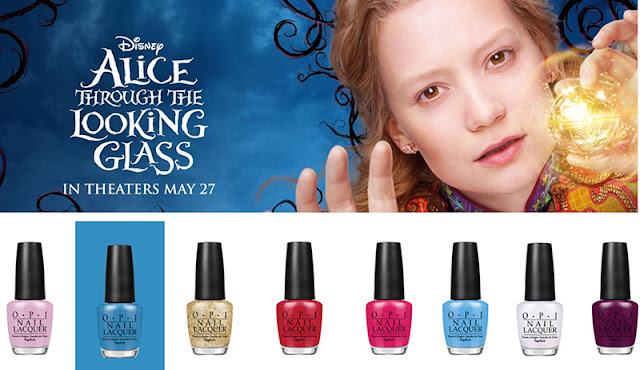 's Alice Through the Looking Glass Collection. There are 9 shades in this collection. 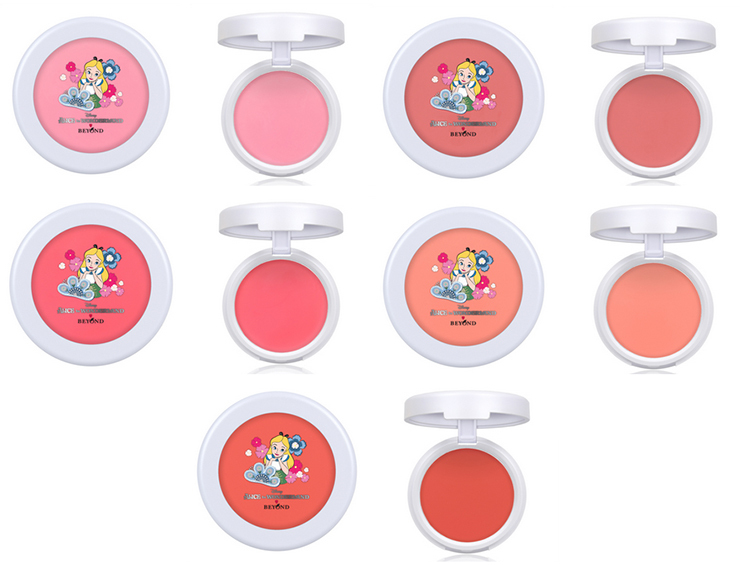 For full swatches, visit The Happy Sloths blog. In the previous movie, O.P.I. also launched a set of Alice inspired colours. The previous one was a little disappointing in terms of the colour selection. 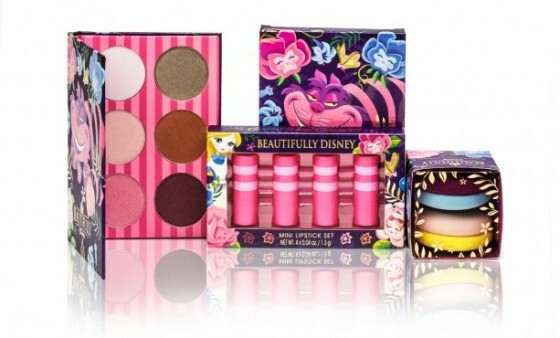 At Disneyland there is a specialty shop called Beautifully Disney that sells cartoon themed makeups. 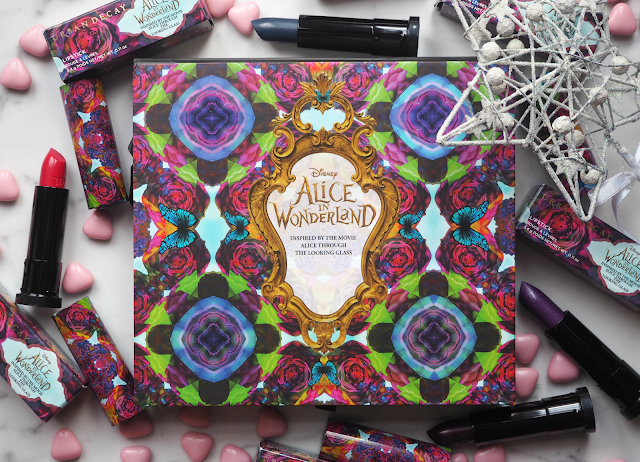 The Alice's collection have been given the name Curiouser Curiouser. The products are limited by the packaging is very classic Disney. The availability is limited to Disneyland patrons only as it is exclusively sold inside Disneyland. If you're going to Disneyland anytime soon, hola me! RMK, a beauty brand which is not so popular in Malaysia, but huge in Hong Kong and Japan, also has their own version of Alice's makeups. 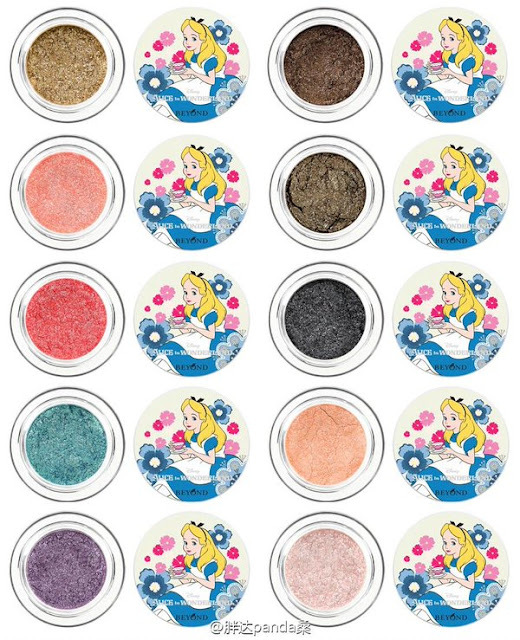 This collection only consist of 2 products which are nail polish and pressed powder. The pressed powder is so-beautifully embossed with a picture of Alice stuck in a house. I'm not too sure how to use the powder, but I'm pretty sure anyone who has it won't be using it anyway. It's just too pretty to destroy. I'm not too excited about the EOS version because it just the casing colours that representing Alice. Although the three EOS lip balls accurately representing the colours of Alice, it doesn't bring any excitement like other collections. 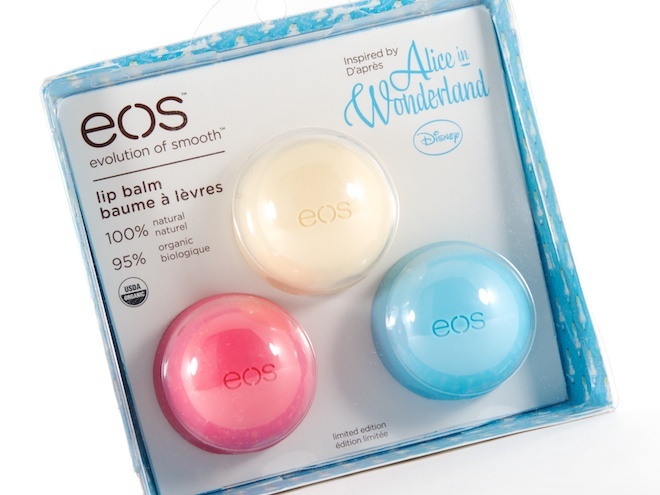 When used separately, it looks just like any other ordinary EOS lip balm. What do you say? This is the only indie brand that incorporated the Alice craze in their products. The packaging is just as amazing as the others. I love the lip cream with hand mirror set. 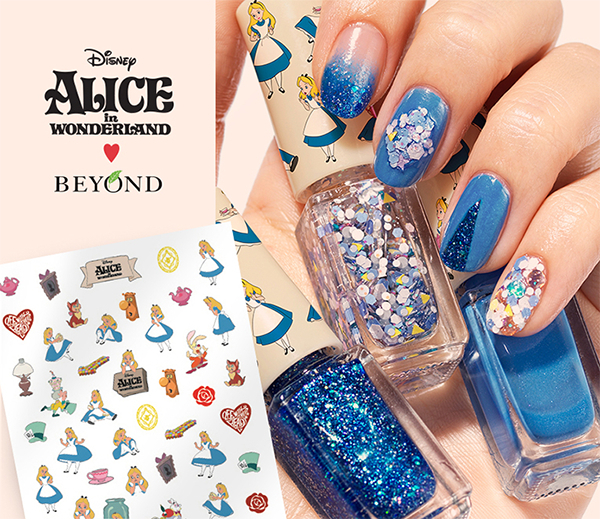 They do represent the whimsical characteristic of Alice really closely. I believe this is an Asian brand, however I do not know where to get them. If you have any further information about this collection, please share with me. Old but gold. 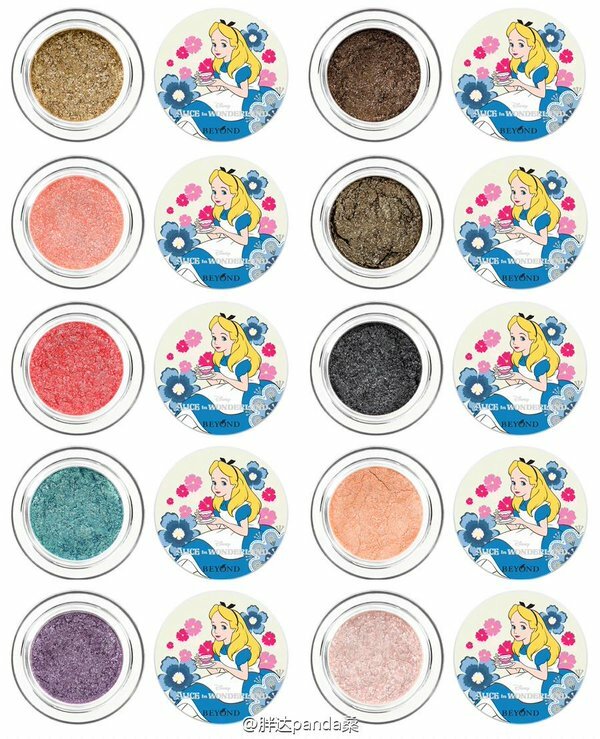 This is by far the prettiest Alice in Wonderland makeup collection that have ever been produced in the beauty industry. Paul & Joe features the classic Disney illustration of Alice in the packaging and incorporated the feminine epitome of other Paul & Joe's packaging. Although the collection consists of only a lip balm and blotting paper, with two options - pink or blue packaging, it excites me like a kid in candy store. 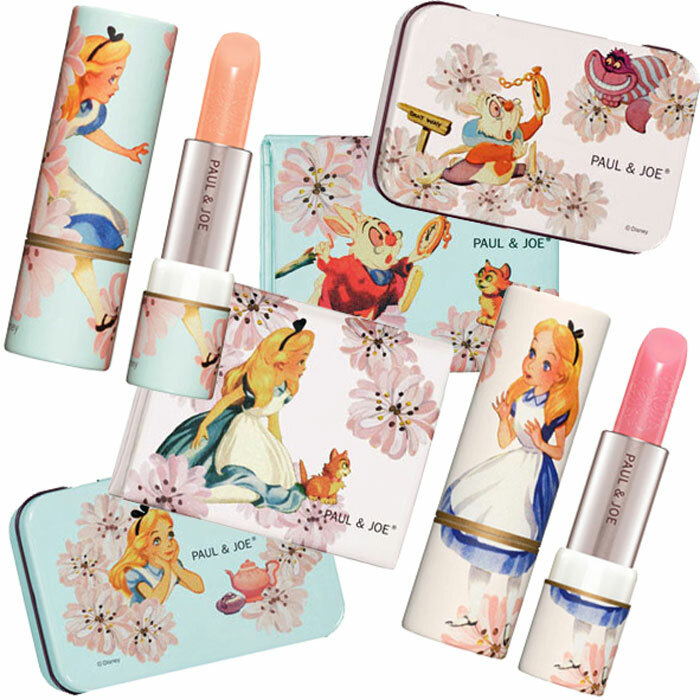 The lip balm is delicately carved with Alice illustration on it too! This is not a beauty product, this is an art piece! I hope you've come to this far of the blog post. These are all the brands that I know that features Alice in Wonderland. If you know any of it, please comment on this post, so that I can add on to the list. By the way, have you watched Through the Looking Glass yet?